It has been a few weeks but Things We Love Thursday is back! This week we are getting a little salty but in a good way! We are talking about our favorite local salt company, Go Lb. Salt! When we spoke to Graham Elliot at the Az Central Food and Wine Experience this past November, he told us that in all his time on Master Chef, he never told anyone they used too much salt. We couldn’t agree more, though Aaron Eckberg and Go Lb. Salt taught us that if you can taste the actual salt, you’ve gone too far! Go Lb. Salt was founded in January of 2011 by Iowa born Aaron Eckberg and his wife Liz. With a passion for food, Aaron started cooking at 7. His first dish was chicken tandoori from a recipe in a National Geographic – WORLD magazine (kids version), a subscription gift from his grandfather who was an Army mess officer, bar owner, son of an old world butcher shop owner, and someone who loved to eat great food. Aaron cut his teeth learning to cook classic Italian food during his time in New York City from 1990-1995. Liz entered the scene in 1995 and the two were married in 1996. Fast forward to 2008, Aaron and Liz were on vacation in Hawaii, searching for the elusive best poke on the island. Everyone they asked recommended Kimo the fish monger at the local Safeway in Lahaina. They met Kimo, sampled some poke, and of course were impressed! 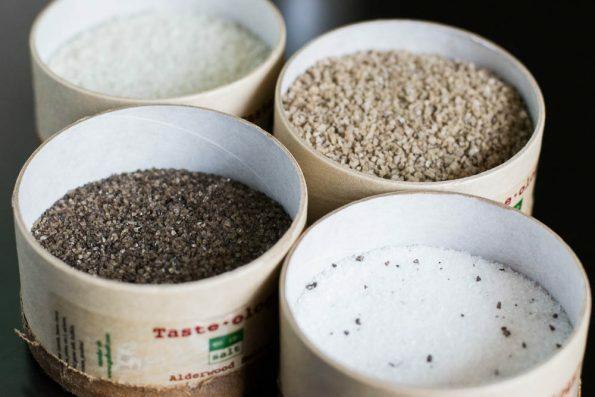 They asked the secret to his incredible poke, he asked them to follow him and led them to the salt aisle showing them 5, 10, 20, and 40 pound bags of white, red and black salt. He also explained the different uses for each salt. Sadly, the airline they flew on to get there went out of business while they were there. So due to weight restrictions on the trip back, they were unable to bring any salt home. By late 2010 Aaron and Liz started looking to purchase some of those salts and a few other different salts from around the world and found that nothing was readily available in small amounts. All required large bulk purchases of 5 pounds or more, thus Go Lb. Salt was conceived, established, branded, stocked and up and running at the Fountain Hills and Gilbert Farmers Markets within 3 weeks. Speaking at the first and only Ignite Food. Hosting the world’s only salt-centric dinner event. Formulating, producing and holding the patent to the world’s only 100% organic & patented skin scrub. Producing the only traditional process for dry-aging beef at home along the most watched video on the internet on the subject of dry-aging beef. They also offer the kit for sale in their web-store for those who want to tackle the project. Being one of a handful of premium dry-cured bacon crafters in the country, with 5 different flavors, including the world’s first and only Chocolate cured, Sriracha cured and Black Truffle cured bacons. They are the only crafter of the only 100% organic bacon cures available in the marketplace for DIY bacon makers – crafted from raw organic sugar & unrefined sea salts. Their bacon is Paleo & Whole 30 friendly with approximately 1.25 grams of maple sugar per 2 oz serving and with a sodium content that’s 30-70% less than any other bacon on the market! Like so many of our local finds, we first heard about Go Lb. Salt on Twitter. During our early interactions with them on Twitter, we discovered that they collaborated with Sweet Republic on an Avocado and Habanero Bacon Ice Cream and we were sold! After stalking them online (not really stalking but Follow Friday-ing) for almost 2 years, we finally made it to the Gilbert Farmer’s Market! We fully expected to buy maybe 1-2 salts but oh no, we left with 7 salts, a cocktail rimmer and some peppercorns. We didn’t realize how much variation each salt could have. It was truly eye opening! 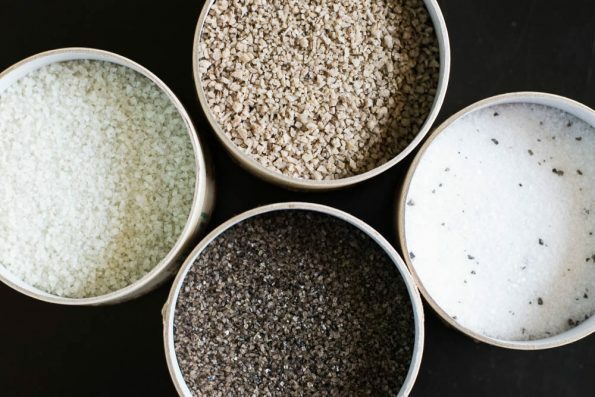 Let us tell you, their truffle salt is the best you’ll ever have! It takes truffle popcorn to a whole new level! 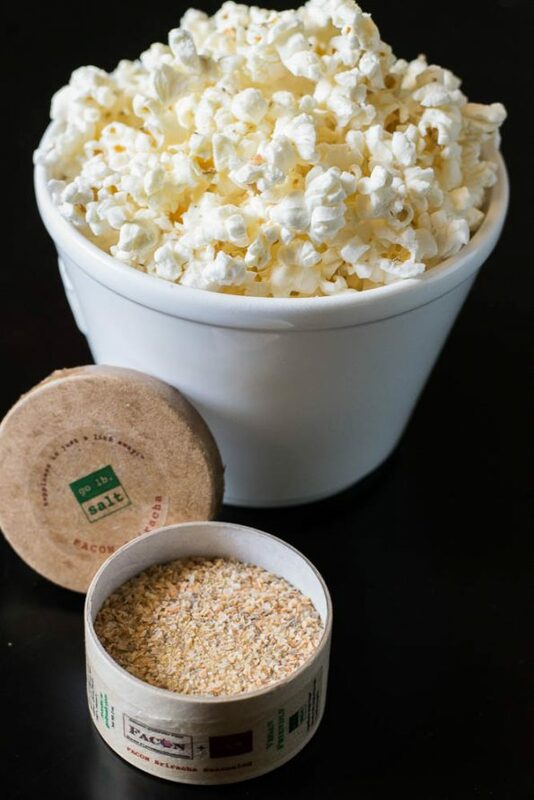 Speaking of popcorn, their Facon Sriracha salt is a fantastic addition to popcorn and makes a great bar snack! Go Lb. Salt currently imports 18 salts from around the world – 6 unsmoked, 5 smoked, 7 infused as well as peppercorns from the Malibar coast of India. They hand craft their own line of organic cocktail rimmers and have created Facon, which is used in their Facon Sriracha (the world’s only chemical-free, gluten-free, dairy-free, soy-free and Vegan friendly bacon flavored seasoning). Along with their fajita, bbq seasonings, and other goodies they offer about 65 hand crafted salt and sugar based products. All of which can be found each week at: Gilbert Market (year round), Fountain Hills Farmers Market (November – April), The Market By Jennifer’s (year round), and online. Additional restaurant & retail partners are coming soon. Go Lb. Salt has something for everyone! Give them a follow on Instagram, Twitter, and Facebook to stay up to date on their offerings and for recipe ideas!